May 16, 2018 at 12:00a.m. 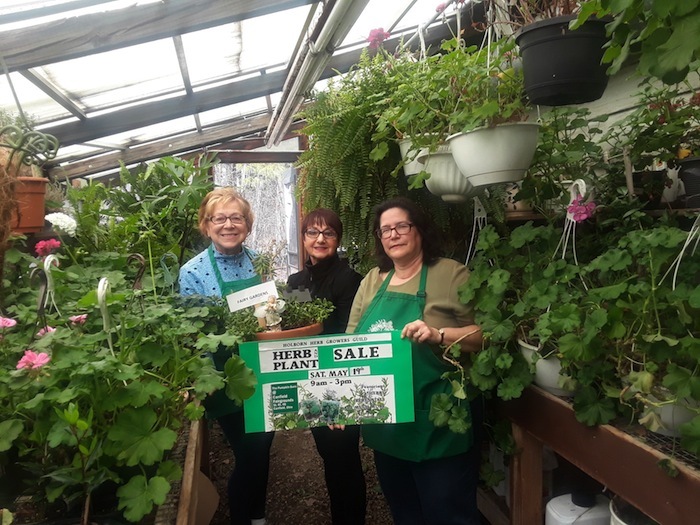 The Holborn Herb Growers Guild will host its annual Herb and Plant Sale from 9 a.m. to 3 p.m. Saturday in the Pumpkin Barn at the Canfield Fairgrounds (enter at Gate 5). The sale will feature a large selection of herbs and perennials, succulents and fairy-garden plants. In addition, there also will be twice-loved perennials for sale. A twice-loved book sale will take place. Guild members will be available for assistance. The guild has established herb gardens in the Western Reserve Village at the fairgrounds and at Boardman Park and sponsors educational programs, events and the publication of its “Herbal Fare” cookbook. Admission is free and the sale will take place rain or shine. Cash and checks only will be accepted. For questions or information, call Virginia at 330-406-0364 or Claudia at 330-549-9483. Above, from left are Mary Grace Fowler, Guild president, and Claudia Dirienzo and Virginia Bartos, chairwomen of the event.